It took me over two hours scattered over the course of several weeks, to track down proof that Cherry Time at Bullerby is actually The Children of Noisy Village. Yep. It is. 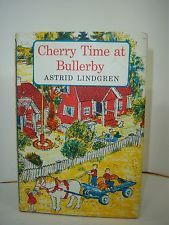 Cherry Time at Bullerby was originally published in Swedish under the title Bullerby Boken (1961). 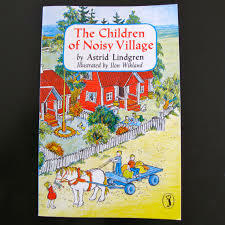 This was originally published in English as The Children of Noisy Village and has been ever since except this brief foray into Cherry Timeness. That explains that.